The need for blood and blood products is rising in all parts of our country. This need is being driven by increasingly sophisticated medical and surgical procedures such as cardiovascular and transplant surgery, trauma care and therapy for cancer and blood disorders. All major surgeries need blood to be available on standby. 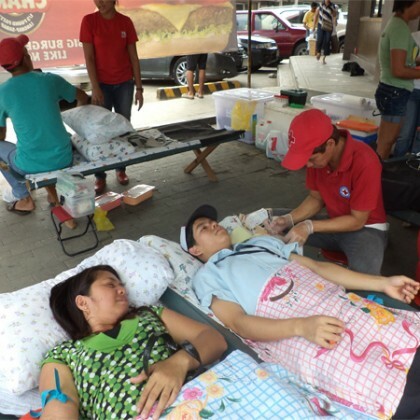 Alrose Group of Companies and the Philippine National Red Cross –Iligan City chapter, have partnered together in accumulating blood donors to help sustain the availability of blood for future use. The company has been providing assistance on the ground such as a venue and employee donors to continue to save lives, and provide the gift of life to others, through selfless blood donations.